I love chuhai. If I had to choose a favorite Japanese beverage genre, it would most definitely be chuhai. It’s cheaper and tastier than beer, comes in a multitude of flavors, and is readily available almost everywhere. Well, in Japan, anyway. 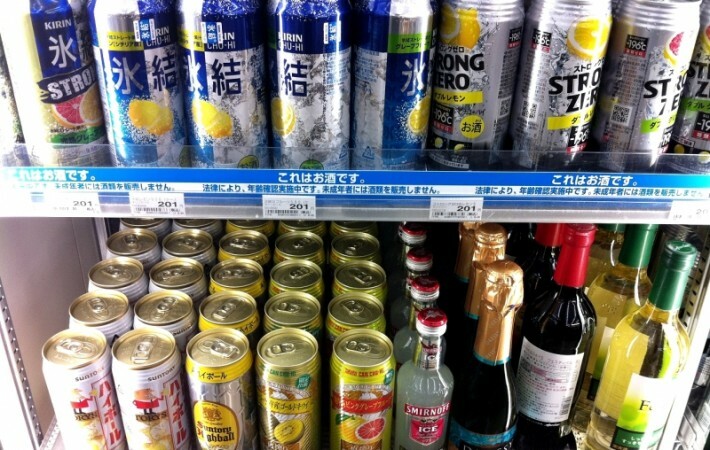 Sadly for me and foreigners everywhere, chuhai, at least in America, is not so common. Why must my love go unrequited? Why, chuhai? WHY!? For those unfamiliar, chuhai is the nectar of the gods. And by nectar of the gods I mean an awesome canned alcoholic drink. The name is derived from “shochu highball” and is made with shochu and flavored soda water. Shochu is an alcoholic beverage distilled from barley, sweet potatoes, or rice, and is usually around 25% ABV. Mix that with flavored soda water and you have yourself a tasty mixed drink. Put the two together in a can and sell it for dirt cheap everywhere and you have a nationwide sensation. Some modern chuhai use vodka in place of shochu, but if there is much difference in flavor I can’t tell. There are a ton of flavors including lemon, lime, grapefruit, apple, orange, pineapple, grape, kiwi, ume, yuzu, lychee, and peach. It’s hard to choose just one favorite, but I would say the citrus flavored varieties are the best. So far, you might think that chuhai just sounds like your run of the mill flavored malt beverage, like Mike’s Hard Lemonade or Smirnoff or something, right? Well, yeah, they’re actually pretty similar in flavor, but there’s a few things that really set the chuhai apart. Firstly, I don’t even think they package chuhai in bottles. If they do, it’s very uncommon. Cans are much cheaper, and this keeps the chuhai very affordable. Pretty much anywhere, a malt beverage like the above mentioned would be the same if not more expensive than the cheapest beer. 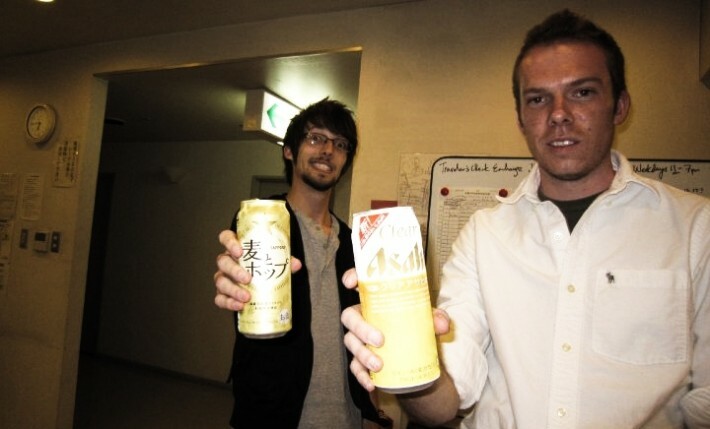 When I was in Japan, at least the area I was around, chuhai was on average about half as expensive as beer. Why get one average tasting beer when you can get two awesome tasting chuhai for the same price? Your guess is as good as mine. Japanese beer: not as good as chuhai. Another thing that really sets chuhai apart is their diversity, both in flavor and in alcohol content. I saw chuhai ranging from 2%-9% ABV when I was over there, with most of the lower percentages not tasting like alcohol at all. These are great for those who don’t like beer or anything that’s very strong. Perfect. And then there are the manly ones for those who both want a nice flavor and a kick. And like I mentioned before, there are a ton of flavors. Malt beverages come in a lot of flavors too, but I’m confident that there are way more chuhai varieties than there are varieties of Smirnoff/Mike’s Hard/etc. Will I Ever be Reunited with my Precious Chuhai? Chuhai and I have a special relationship. I’m pretty sure that chuhai is actually available in some parts of the United States, but nowhere close to where I am. I don’t really see it being imported anytime soon either. 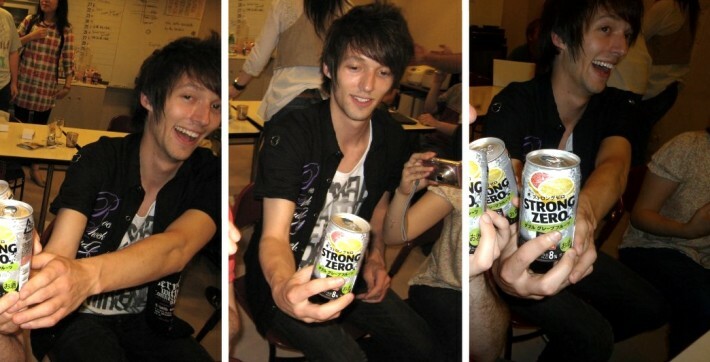 Sure we get the top three beers from Japan, but strangely, chuhai seems to go by unnoticed. But if you ever have the chance to try it, PLEASE, FOR THE LOVE OF GOD, DO SO. Let me live vicariously through you. Actually, Hashi just told me the other day that one of the first things he did after getting off the plane in Japan was find himself a chuhai to drink in my honor. You’re a true friend, Hashi. Good man. And since somebody needs to keep all the Tofugu things from falling apart while the guys are gone, my own trip back to Japan will have to be taken some other time. Hopefully sooner than later. Wait for me, chuhai. We’ll be together soon.